Hello there, reader! Are you tired of the same o’l tropes? Have you been sighing and rolling your eyes so hard they’re not only audible but have sped off down the hallway? Well, this might be a refreshing read for you! Brooding YA Hero is a Twitter Sensation. 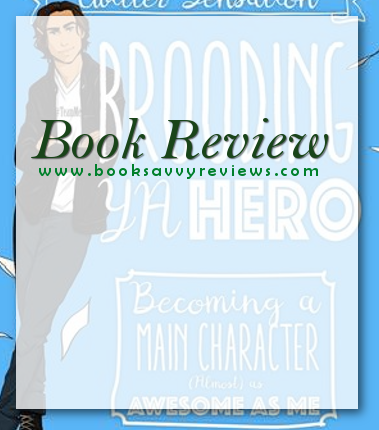 He is the ultimate YA hero – in that, you can nearly find him starring in every book! In his book it is essentially a satire on the heroes you can find in YA, not only that but the ex girlfriend, too. There a lovely bits of feminism sprinkled throughout when the sensible and villainous ex girl appears. 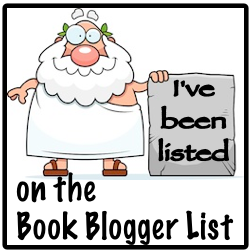 It was a witty, clever shout out to all of those books with every type imaginable. Amidst the book there are guidelines, formulas, quizzes and jests which break up the storyline that is actually in there – it’s Broody trying to write his own story as well as plot with interruptions from his evil ex. I took it as it was intended – a whimsical playful read that touched on how overdone some of these tropes are. No one is safe! It also made me realize how difficult it is for a writer to introduce an original hero type without being called out for it or falling into some trope. I will say I didn’t devour this as I thought I would – likely because of how it was broken up into a How To Manual and an actual story. Broody is manageable in small doses but in mass quantity, I found I wanted to duct tape his mouth – hey maybe I’m an evil ex-girlfriend! All in all – if you’re a Broody fan, you’re going to be rolling.